On Friday 22nd March 2019, Pendle Community High School & College were recognised at the 19th Design and Technology Association Excellence Awards for their outstanding contribution to DT. The annual event held at The Institution of Engineering and Technology, situated on the banks of the Thames in London, recognises the commitment and achievements of teachers, teacher trainers, education consultants and academics across primary and secondary schools, and further and higher education both mainstream and special educational needs. 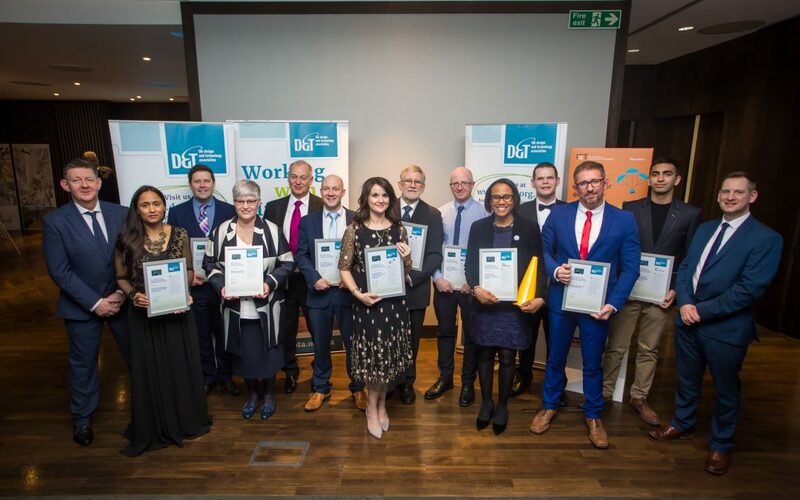 Nominated and voted for by peers in the education sector, the Design and Technology Association’s Excellence Awards is open to the 10,000-strong membership and non-members across England and Wales. PCHS&C stood out for this award because the school & college actively supports students with a wide range of additional special educational needs including communication needs, physical and medical needs, sensory impairments and mental health difficulties. None of this holds our students back when it comes to designing and making exceptional products in their D&T lessons. The students are supported by staff to make resources for use within school, props for school productions and products to sell to the public at their Christmas Fair. They have also developed their own catalogue of items for the general public to buy. Led by an exceptional team of teaching and support staff, the students get the most out of every lesson, and are continually encouraged to push their own boundaries and see what they can create. There is no ‘I can’t’ attitude, regardless of ability, and the students continue to amaze us with their work and the products they design. Well done to everyone at Pendle Community High School & College.